Four set done, what left are just final outlets and installation which needs to be done on site. 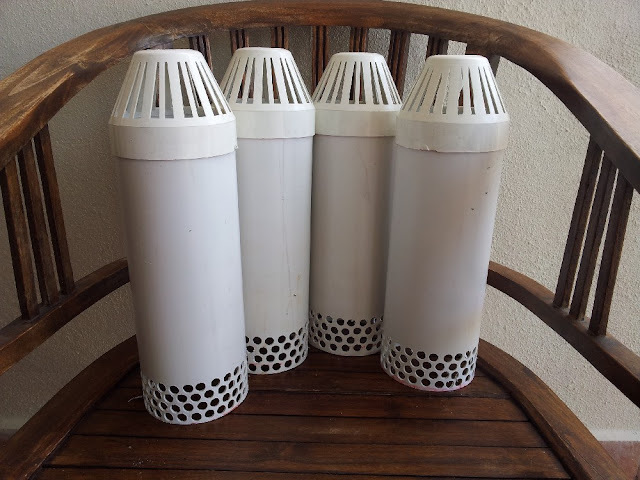 Above are siphon top parts, those eight tubes in front four of which of same length are stand pipe extender to adjust water level in grow bed. 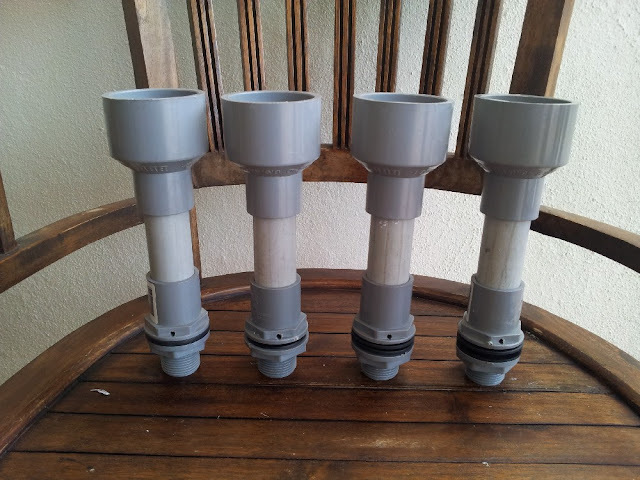 Below are the outer strainer tubes, these are 110 mm uPVC pipes with end venting cap. 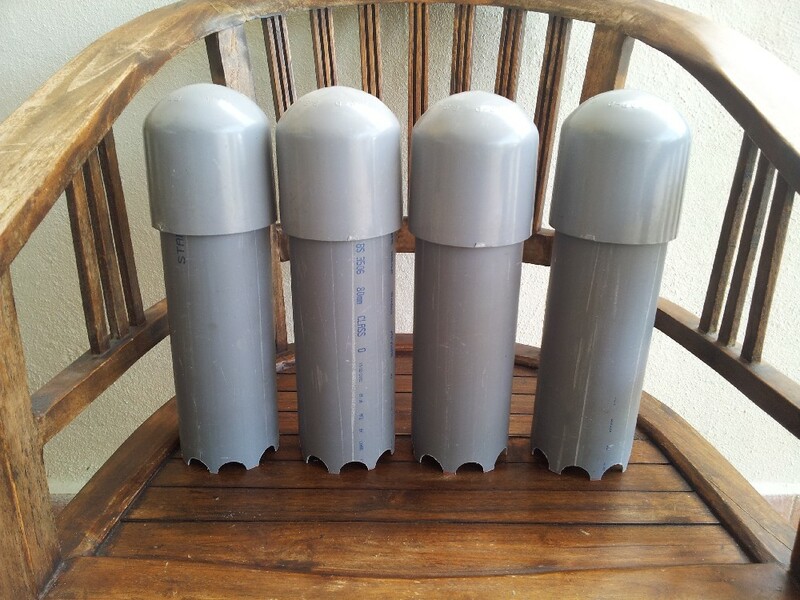 80 mm water PVC tubes with end cap forming the bell. Those half moon are formed using 25 mm hole saw, cutting two halves at a go making two bell tubes. So the half moon are roughly half inch high. 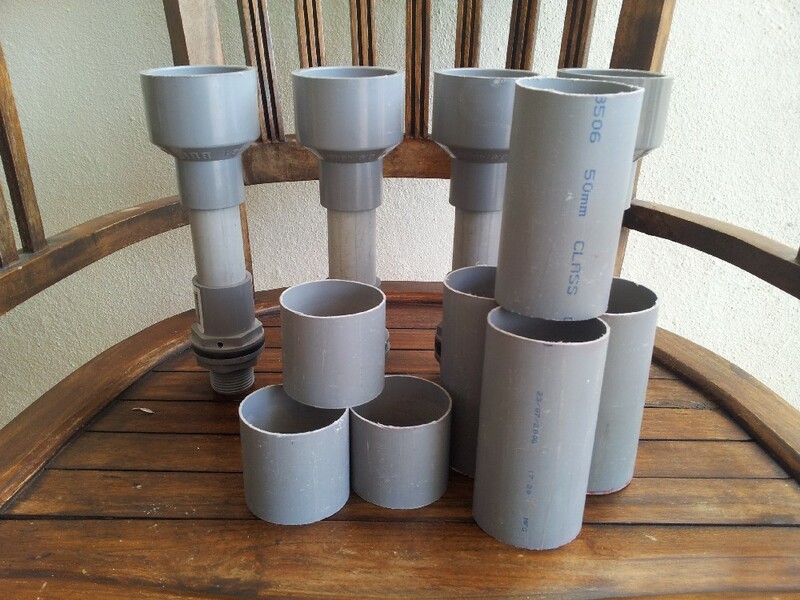 Stand pipe, 25 mm bulk head fitting drilled with 4mm drip hole, then 25mm PVC tube with final 25 mm ~ 50 mm reducer to make total length from drip hole to reducer to about 7.5 inches. 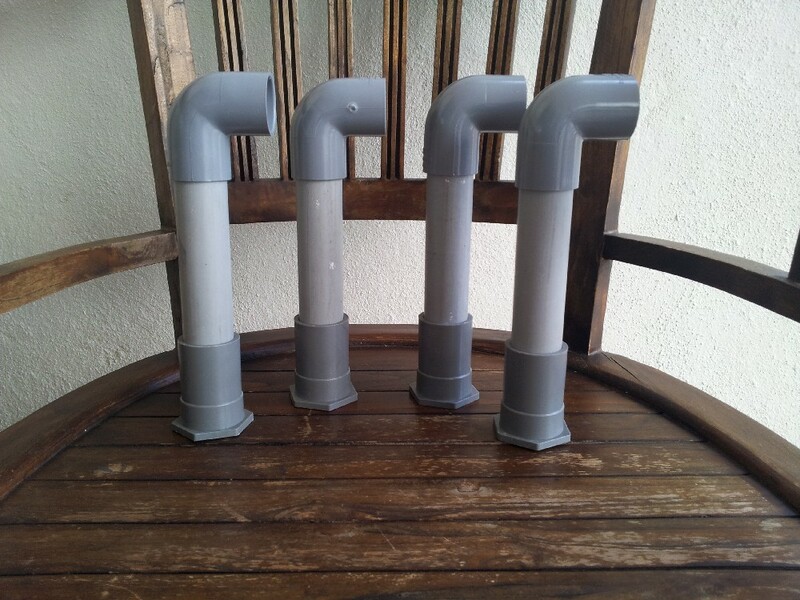 Extender tubes below, two sets for each stand pipe, the longer will bring water level to about 11 inches and the shorter to 9 inches. So the stand pipe are adjustable to 7.5, 9 and 11 inches. Initial outlet below about 8 inches before the elbow, other item need to be done on site or after I had a look at how is the final installation. 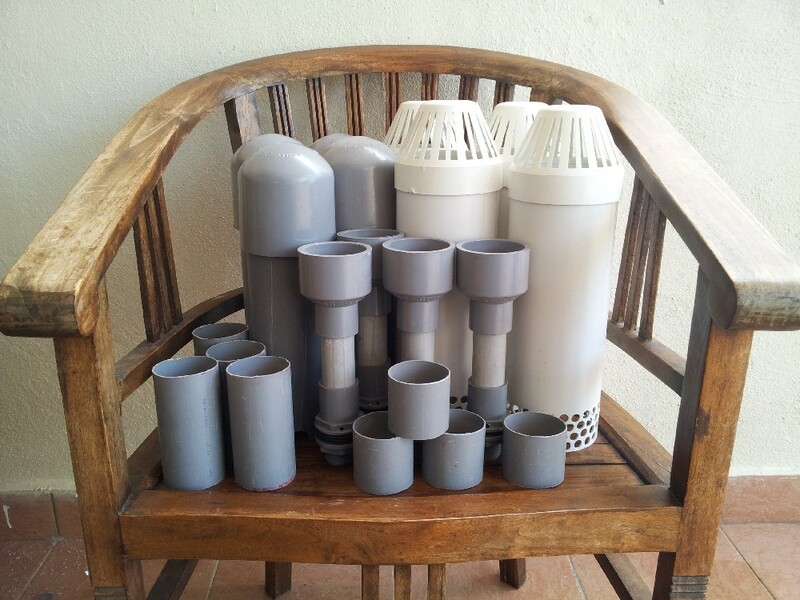 These siphon sets are for new set that will be build early January, I just had it ready for installation when they need it.